This policy (together with our terms of website use) and any other documents referred to on it) sets out the basis on which we Bowthrusters Direct, with a registered office at C2, Apollo Court, Neptune Park, Plymouth, PL4 0SJ United Kingdom will process any personal data we collect from you, or which you provide to us, in the course of using our site www.bowthrustersdirect.com. For the purpose of the Data Protection Act 1998 we are the data controller. When you use our site, there are a number of ways in which you provide information and other data to us. This could include information collected from online forms, including personal data. All information supplied to us will be processed solely for the purpose for which it was intended and for which consent was received. By using the site, you consent to us processing and collecting this data, on the terms and for the reasons which are explained below. ensure that content from our site is presented in the most effective manner for you and for your computer or mobile device. All information you provide to us is stored on our secure servers. No payments are processed or stored by Bowthrusters Direct. safety of ourselves or others. This may include disclosing to other companies and organisations in connection with fraud protection and credit risk reduction. You have the right under the Data Protection Act to access the information which we hold about you.  If you wish to exercise this right, please send your request to info@allboatservices.co.uk. In order to meet our costs in responding, we will charge you a fee of £20.00. Find useful information on products and do it yourself installation. We can help you with fitting and servicing. get in touch today to find out more. Dockmate Direct is part of the AllBoat Group. Specialising in good advice, supply & installation of quality marine equipment.